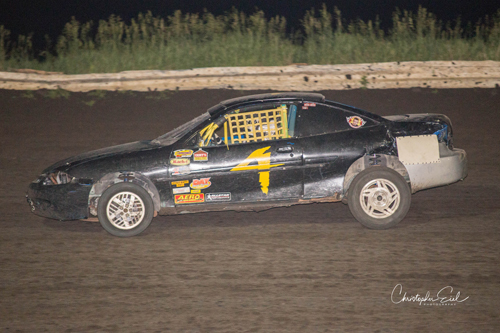 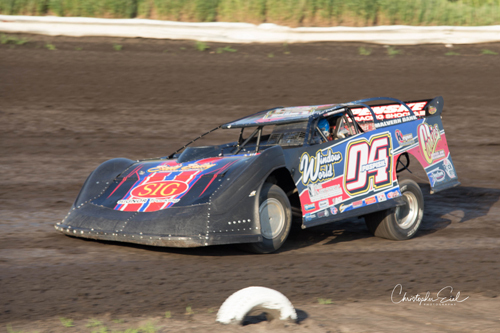 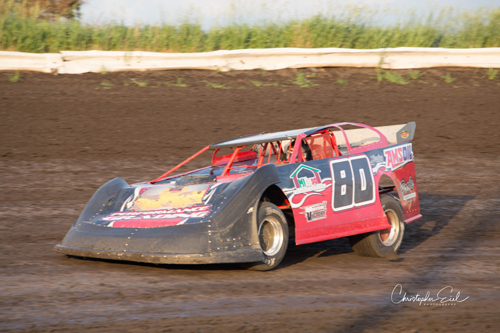 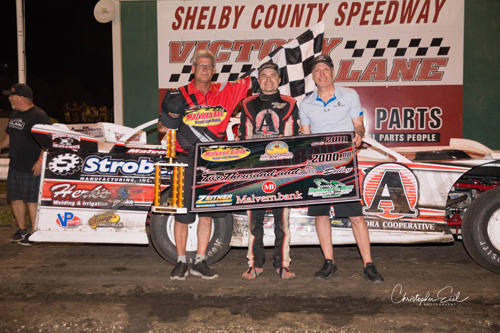 Kyle Berck of Marquette, NE, won the SLMR main event on Saturday night. 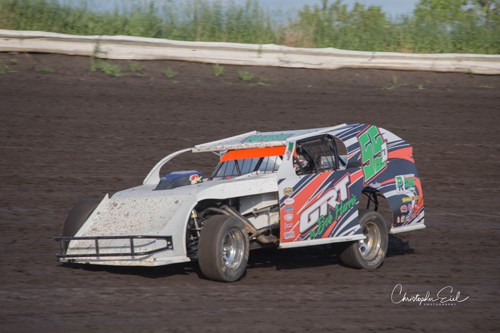 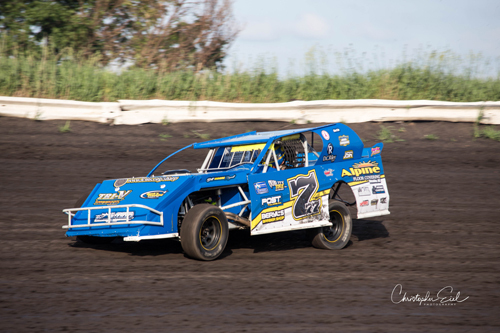 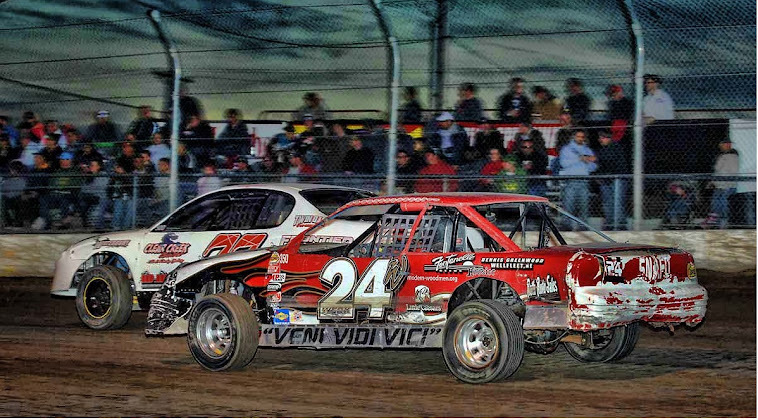 Cody Olsen of Omaha, NE, won the IMCA SportMod contest. 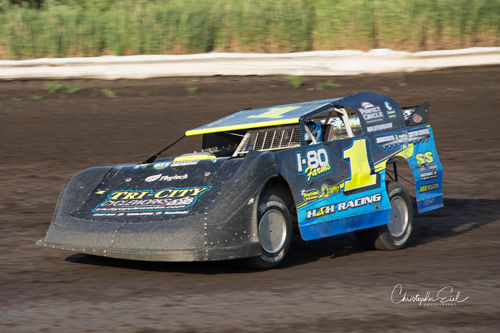 David Coenen of Harlan, IA, was the IMCA Sport Compact winner. 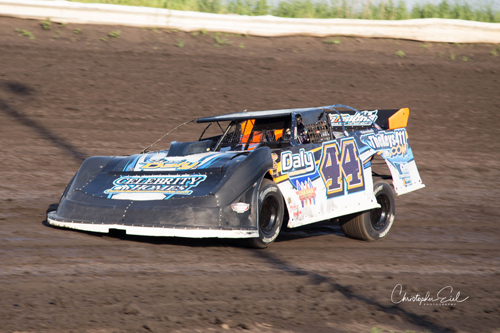 Nick Deal of Walnut, IA, won the IMCA Modified feature.